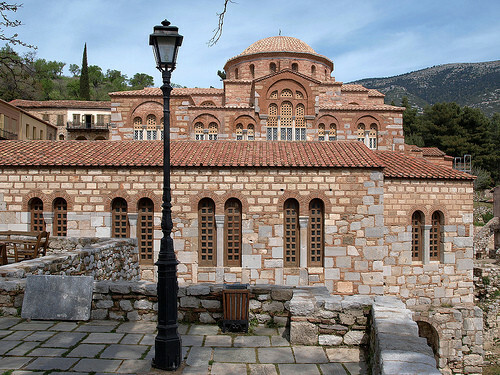 The Monastery of Hosios Loukas, one of the finest, 11th century Byzantine monuments in Greece, is set on a pictures slope on the western foothills of Mount Helikon, near the ancient town of Steiri. The monastery’s two large churches (the Church of Panagia and the Katholikon), its Crypt, belfry, monk’s cells and other buildings, all devoted to the local, miracle-making Hosios, have a unique standing as they are considered paragons among all 11th century monuments in Greece. The visitor apart from the Temples can admire the splendid view and enjoy the all around green landscape and be revived from the splendid climate.